Spacious City Park Condo! This bright corner unit has East, West and North exposures! Featuring 1087 sq ft, two bedrooms, a spacious entry and large living room open to the formal dining room, an upgraded kitchen with lots of cabinets and an eat-in dining area, a spacious upgraded bathroom with newer tile flooring, tub surround, vanity and in-suite laundry. 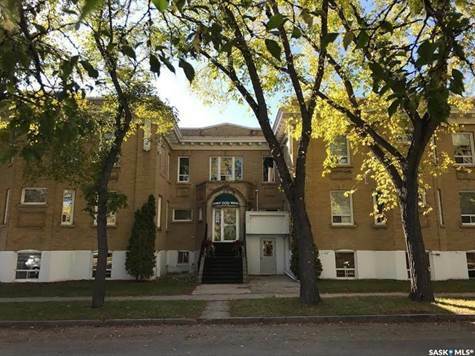 This lovely condo has ten foot ceilings, lots of large windows for an abundance of light, upgraded flooring, lighting, blinds and the unit has been professionally painted. One electrified parking stall, a separate storage room and all appliances are included. This is a very well-maintained City Park Heritage building with an elevator and newer boiler. Excellent location, close to schools, downtown, the hospital, coffee shops, the river and all conveniences!